On the day of the earthquake, I was giving a lecture to Indigenous women leaders in Sindhupalchok, when the earthquake suddenly struck. Houses fell apart in front of my eyes. Tears came to my eyes, knowing that there must be loss of life. However, the participants and I were all fortunately safe. Two days later I started a relief effort, which is on going. I discovered villagers without access to electricity. I am trained as a climate activists, and so I decided to deliver solar lamps to these village people, to help raise awareness of the ill-effects of using kerosene lamps – a dream that is coming true, as in short period of time, with the support of my fellow climate mentors from India, we are effectively carrying out this relief effort. Climate change is one of the most important global challenges facing the world. 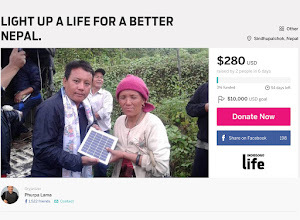 Light Up a Life for a Better Nepal aims to bring solar power to hundreds of houses across the region who have no access to electricity. A new light always brings a smile to the faces of these needy rural people. As an enthusiastic Climate Activist, as well as someone who comes from these villages, I am very ready to spring into action, along with our local teams, delivering these simple, yet very necessary solar powered lights. These solar devices will also meet the mobile charging facility for the rural effected communities. NO ELECTRICAL SERVICE REACHES MANY POOR RURAL PEOPLE. Prior to the quake, Nepal did not have a stable grid. Nearly a quarter of people lived without access to electricity and many more endured up to 16 hours a day of blackouts – in Nepal, there is simply not enough power to go around. YOU AND I, AND OUR TEAM OF LOCAL PEOPLE CAN LIGHT UP THE LIVES OF FAMILIES STRUGGLING TO SURVIVE. While other groups are addressing needs such as food, shelter, water, medicine, Solar Nepal will make our modest contribution by lighting up small villages, home to home, village to village. Nobody wants to be left in the dark. You may remember how scary a black out was when you were a young person. Psychologically, these people have lost a sense of security, as they’re now trying to get back on their feet in the dark, some even with missing family members. Furthermore, it is very difficult for aid groups to work without light already at the site. Aid workers would benefit if these solar light device, which also charge mobile phone were in place as they carry out their work. In the midst of this disorder, a mother’s first instinct is to reach out to her loved ones, to check if they are okay, and let them know you are okay. And when you reach for your mobile phone, and it's dead and there is no place to charge it – these solar devices will change that. And in the long term, illuminating homes, schools, monasteries, etc. via solar power would make a significant positive impact. This is my dream. Our effort serves as also as an introduction to this lofty, yet certainly achievable goal. Kerosene and candles can be a real fire danger. Diesel generators can also be dangerous if used improperly, and are loud, have fumes and require a steady supply of fuel to keep running, which is yet another burden in our post-disaster areas. It is clear, solar power can provide an alternative – or at least complement conventional power sources. 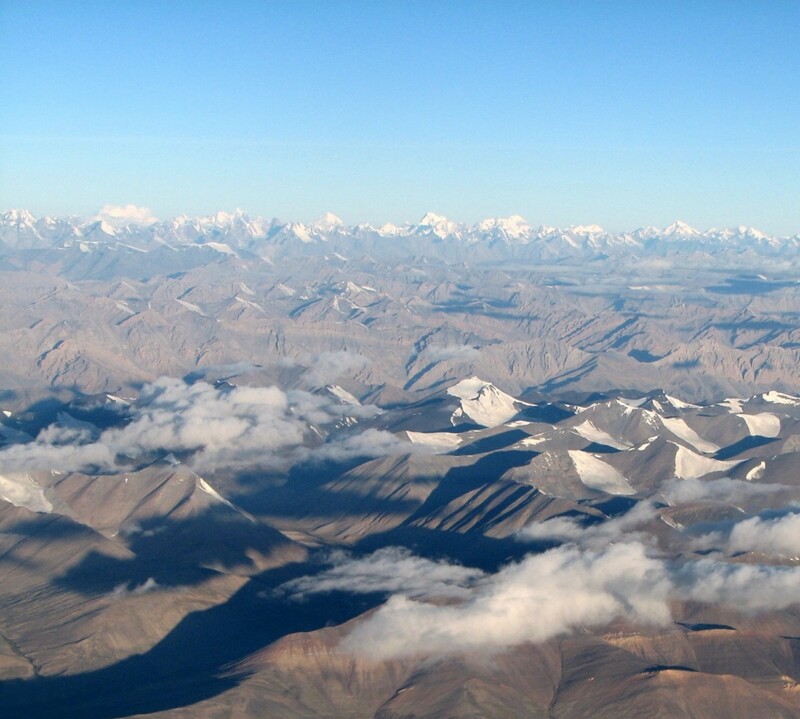 Nepal needs to become familiar with solar power now. Climate change looms large for those of us working as Climate Activists, and here our modest aim of providing these lights, may also have a major impact if these village people see that solar is truly a viable solution after disasters. Your generous donation will not only satisfy the basic need of having a light in a home, but will also let these good people know the world cares. We have an ambitious vision to deliver these solar devices to far-flung villages, and to villages that are isolated and have no means of accessing relief funds. You can help light up the lives of the entire population of the region. All of the donationswe need to add 5% for transportation, and so your donation money goes a long way. Please help in any way possible, so that we can assist those in immediate need. We really need your help. THANK YOU FOR YOUR CONCERN AND DONATION!